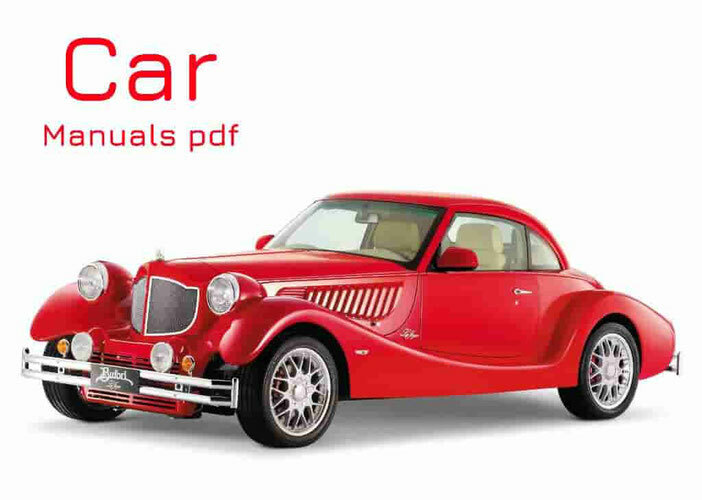 Lexus Car Manuals PDF & Wiring Diagrams above the page. In 1983, between the President of Toyota (Manuals page) - Eiji Toyoda and his company leaders. Toyoda invited his subordinates not to tea, but in order to raise the possibility of establishing a line of luxury cars that could compete successfully with American brands. The project was named as F1 (Flahship 1) and proved to be very profitable. The result of the project was the car that later became known as the Lexus LS 400. In a study of the habits and lifestyles of American consumers of luxury, the Japanese company has leased a house in Laguna Beach, to watch the "objects of research". Shortly after this experiment LX 400 was a hit. Confirmed insightful advertising, the LS 400 was introduced in the North American Auto Show in Detroit in 1989, where he became one of the main attractions. And how could they not be after over 450 prototypes worked 24 teams of engineers and thousands of workers due to the "insignificant" $ 1 billion investment? The main advantage over the Lexus the Acura (PDF Manuals page), which was released to the US market for 3 years earlier, was his uniqueness. Unlike the first models of the Acura, which were sold under the Honda brand, Lexus took a few things from the design of Toyota. Quiet, ergonomic, powerful and reliable, the LS has become a serious competitor to European imports, such as Mercedes Benz and BMW (Manuals pages), whose sales plummeted after the Lexus entered the market. In the first years of sales Lexus has become the top-selling car in the US luxury class. Everything went smoothly for the Japanese manufacturer, and in 1991 two new models were released: SC400 coupe and sedan ES 300. Last marketed as a replacement for the ES 250 and quickly became the best-selling sedan of the company. After the release of the heir to the LS 400 and the GS series of aristocratic, Lexus entered the SUV market in 1996 with the release of LX 450, a large car, based on the Toyota Land Cruiser 100. By 1998, Lexus has released the RX, the best-selling crossover, created based on the model Toyota Camry , and new GS series. In the following years, due to further technological improvements, such as the release of Lexus Hybrid Drive system in the 2005 model RX 400h, sales increased even more. Everything was going so well for the Lexus, he constantly "growing up" since its inception. The brand was introduced to the Japanese market in 2005, and was presented in other parts of Asia and South America, Australia and Europe. By 2007, Lexus has appeared in more than 50 countries and continues to grow. "The pursuit of excellence," the company is represented in their current lineup of cars consisting of IS, LS and RX series, as well as avant-garde LF-A concepts.